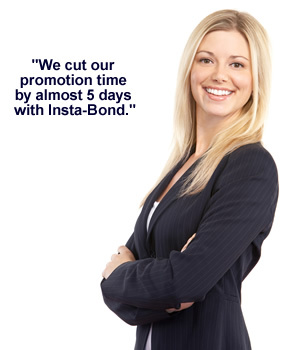 Insta-Bond helps promotion agencies and attorneys register, bond and administer sales promotions faster, easier and less expensively than ever before. We originated online registration and bonding of contests, sweepstakes and games of chance and continue to be the industry leader. With almost 200 of the top promotion agencies, fulfillment houses and industry attorneys as clients, Insta-Bond is a proven long-term solution. Our simple user interface and excellent customer service lets you easily bond and register promotions in less than 10 minutes, with same day delivery to Florida and next day delivery to New York, Rhode Island, Quebec and Arizona - guaranteed. Plus, Insta-Bond's exclusive review process helps prevent costly errors. Designed to be invisible to the promotion sponsor, Insta-Bond allows you to remain the solution provider for your clients. Sign up today. There is no cost to Become a Client.